Legal industry awards and professional accolades for Birmingham DUI Lawyers Mark and Whitney Polson are one thing, but the huge number of contested criminal cases that these Birmingham attorneys have either negotiated a DUI to a reduced plea, or fought at trial in Birmingham and surrounding areas sets them apart from other Alabama DUI attorneys. Attorney reviews and lawyer ratings are an excellent resource, but clients still expect their DUI lawyer in Alabama to WIN their case. Knowing how to beat a DUI in Alabama is their “bread and butter” of a statewide criminal defense practice. Dozens of these Alabama DUI victories (for both misdemeanor DUI and Alabama DUI felonies) and vehicular assault case victories are outlined in this website. 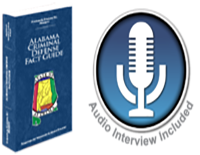 Many more case reports have been broadcast on television news and radio news reports in Birmingham, and across the State of Alabama, and in national media reports. Traditionally, the busiest court in Alabama for Mark Polson and Whitney Polson is Birmingham Municipal Court. But, due to the fact that about 25% of all Alabama DUI cases occur within 25 miles of downtown, the Polson Law Firm is extremely well known by Birmingham courts and Birmingham lawyers. For decades, Mark Polson has become widely known for being a top DUI lawyer in Birmingham. Since his son, Whitney, graduated from law school, he has joined his father as one of Alabama’s Top DUI lawyers. Due to the high volume of arrests in Birmingham, the Queen City of Alabama is where people charged with DUI in Alabama most often search for their Alabama DUI attorney. The goal of most of our clients is to hire a DUI attorney who knows how to get out of a DUI. Of all the 50+ lawyers in Birmingham, AL who practice drunk driving defense, Birmingham DUI Attorney Mark Polson and Alabama DUI lawyer Whitney Polson have credentials, awards, and national recognitions that match or far surpass the average Birmingham DUI attorney. With the 2016 release of Alabama DUI Defense, Whitney Polson’s reputation as a top Alabama criminal defense attorney and drunk driving book author soared. The Polson Law Firm is known to be the criminal defense law firm where family members of celebrities, politicians, judges, other attorneys, doctors, and people who make their living as commercial motor vehicle (CMV) drivers holding a CDL license call upon the Birmingham DUI attorneys to help resolve the most challenging driving under the influence cases. 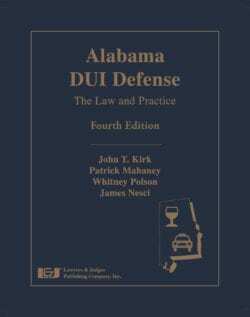 Alabama attorneys across the State know both Mark Polson and his son, Whitney Polson or may have attended a DUI seminar where one of the DUI defense lawyers have lectured. Alabama lawyers who handle civil cases, such as a DUI accident cases, where money damages are being sought against the DUI driver, call upon Mark or Whitney for advice in tough DUI Alabama cases. The Birmingham DUI attorneys are the most famous family of Alabama DUI attorneys in the state. Indeed, the Polsons’ expertise (on the dual topics of criminal trial law and DUI defense) in Alabama is so extensive that other DUI attorneys in Birmingham (and across Alabama) often turn to Mark and Whitney for their expert DUI law assistance on how to handle difficult criminal cases. So, if you hired another law firm, they often turn to Mark Polson or Whitney Polson to get Alabama DUI law answers, and then try to emulate the top DUI lawyers in Alabama. This is especially true on 2nd DUI cases, 3rdDUI cases, and DUI arrests triggering an Alabama driver’s license suspension. As with any professional who is a true expert (e.g., surgeon, architect) some people want the very best DUI lawyer in Alabama. That is why both partners in the Polson Law Firm travel to every corner of Alabama to represent people. Knowing how to beat a DUI has built the reputation of Polson and Polson. Additionally, the Polson Law Firm regularly challenges the constitutionality of DUI checkpoints in Alabama. The Polson Law Firm’s constant objective is to help you obtain the full measure of criminal justice that Alabama law allows. Both of the Polson’s can tell you how to get out of a DUI in Alabama. They have done it for other clients thousands of times. No matter if your case involves a DUI accident or a police checkpoint arrest, we can help. Our criminal justice attorney firm has handled Alabama DUI cases in almost every county in our State, as well as a majority of the State’s numerous Municipal Courts, where many Alabama DUI arrests are initially arraigned. To learn how we can help fight your DUI case, please contact us today for a FREE case analysis. A Birmingham DUI attorney from Polson Law Firm can come to your location, especially if you were in a DUI accident. We Fight Alabama DUI cases in every court in the State of Alabama. Our Alabama lawyers provide a FREE lawyer consultation, so what do you have to lose? Call us now at our office. 205-871-8838, or toll free at 1-844-776-5766 [1-844-7POLSON].